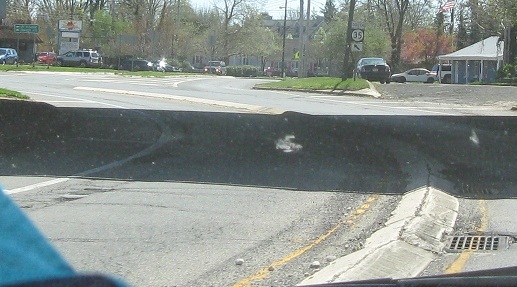 Old NJ 35 shield at the southern end of NJ 71, where 71 SB is passing under 35 with original-style median curb. 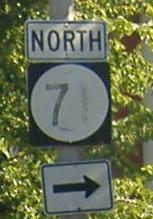 NJ 71 and NJ 35 multiplex further north as well; NJ 71 is the original coastal route, while 35 is the more heavily traveled and newer inland route. Click on the second photo to see an older version - the overpass was repainted from green to blue, but somehow the sign remained! My second clickable photo in two captions, but this one gives you much higher resolution. 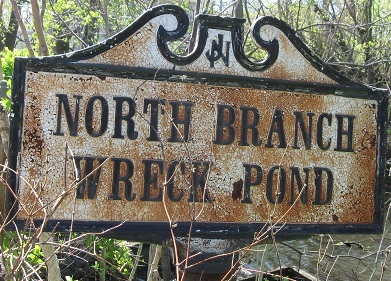 This sign is so old, it may have been on NJSHR 4 (which was replaced by NJ 35) before the modern 35 was built. Heading southbound in Belmar, NJ 71 turns right along Deal Lake to get to NJ 35, and ends up at the all-caps overhead sign. 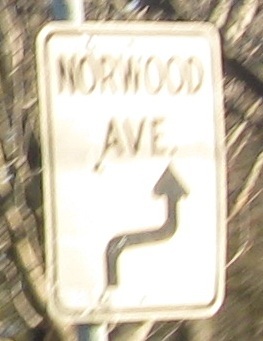 71 turns left onto 35 SB, but isn't well signed, and then diverges in a couple of blocks; follow the NJ 35 link below to see signage from that brief multiplex. I don't know how one is supposed to get to NJ 35 by continuing southward, unless some construction required traffic to head west on a different street than 8th/NJ 71. NJ 71 makes a lot of turns. 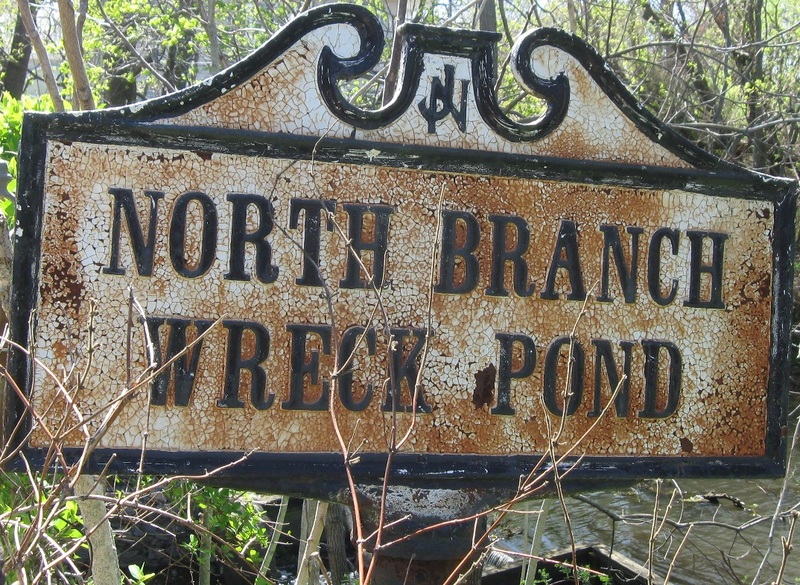 This one is along the south shore of Deal Lake, just after crossing that body of water southbound into Asbury Park. 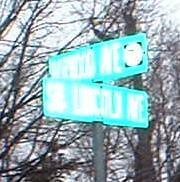 End signage for South Lincoln Avenue in Ocean... or just a cute NJ 71 shield on a street sign. 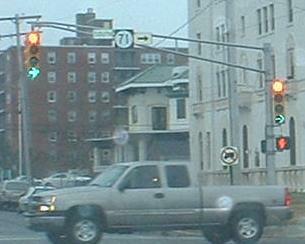 NB at N. Cedar Ave. in Long Branch. 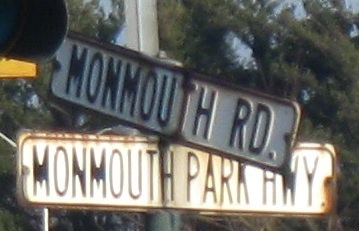 NJ 71 turns left on Cedar and loses Norwood Ave.
Monmouth Rd. NB at NJ 71 in West Long Branch. 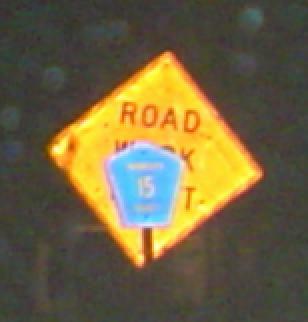 Locust Ave. is Monmouth County 15 with this very narrow font. NB at NJ 36, which I don't think is Monmouth Park Hwy. anymore. 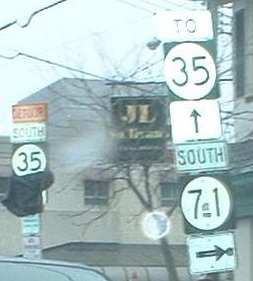 It's just NJ 36 based on the overhead. 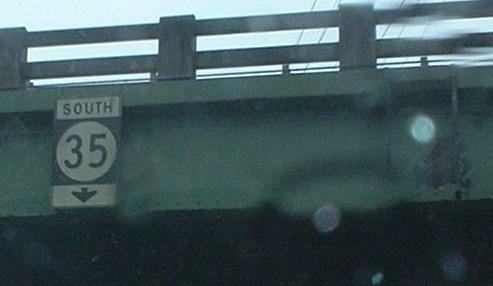 The "S" and "N" were greened out because this leg of 36 is considered east-west, although really the whole highway should just follow the set of directions shown here despite its C shape.